Michael O. Varhola is the author of Ghosthunting San Antonio, Austin, and Texas Hill Country, the latest addition to the America’s Haunted Roadtrip series. 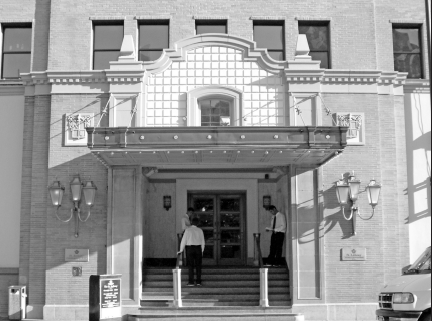 105 N. Alamo St., San Antonio, TX 78205 (On website search for San Antonio locations and select “Hotel Indigo Downtown Alamo”; do not confuse with Hotel Indigo San Antonio–Riverwalk). This historic hotel is located at what had once been the northwest corner of the Alamo compound, site of the bloodiest fighting when Mexican troops overran the mission and slaughtered its Texian defenders on March 6, 1836. Garrison commander William B. Travis was among those who fell here (the front desk being located at the spot where he was believed to have died), and it was so packed with mangled bodies in the aftermath of the battle that the ground was said to have been saturated with blood. Paranormal activity that people claim to experience at the hotel includes hearing the sounds of gun and cannon fire and the agonized wailing of wounded and dying men; seeing spectral figures moving a cannon along the adjacent streets; hearing strange voices and disembodied footsteps, particularly in the basement; seeing people getting on and off the historic and now out-of-service elevators; and witnessing figures in 19th-century clothing walking down the halls, entering rooms, and then disappearing. This downtown hotel is in close proximity to the Alamo, has a number of historic buildings on its grounds, and—like many old sites with storied pasts—has many ghosts and inexplicable phenomena associated with it. 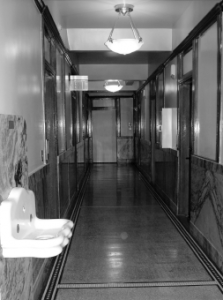 Reported activity ranges from things like lights turning on and off on their own to drawers at the front desk being opened as if by an unseen hand, to a specter who has haunted the hotel for many years and come to be known as the Lady. She is believed to be a widow who lived in one of the historic buildings now incorporated into the hotel and to have hanged herself and her cat in what is now the exercise facility, formerly her parlor. People have reported seeing her throughout the site, especially on the upper levels of the main building, in the employee-only areas in the basement, or standing among the trees in the garden, usually in a long white dress or gown, holding her cat and stroking its head. 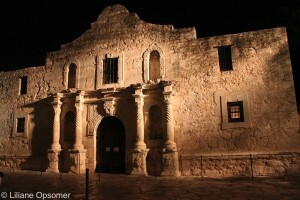 For more ghostly tales, check out Michael O. Varhola’s latest book Ghosthunting San Antonio, Austin, and Texas Hill.